2 Port for use with Keystone style inserts, modules and jacks. Perfect for Home and Office use in Cable Television (CATV), Closed Circuit Television (CCTV), Satellite, Home Networks, Telephone, Fax, High Speed Internet, HDTV, Automation Applications, Video Distribution and Power Limited Circuit Cable for General Purpose Applications. Standard Size in Color White. Made of High Impact ABS Plastic, UL Approved, Standard Size of 2 3/4 by 4 1/2 inches. 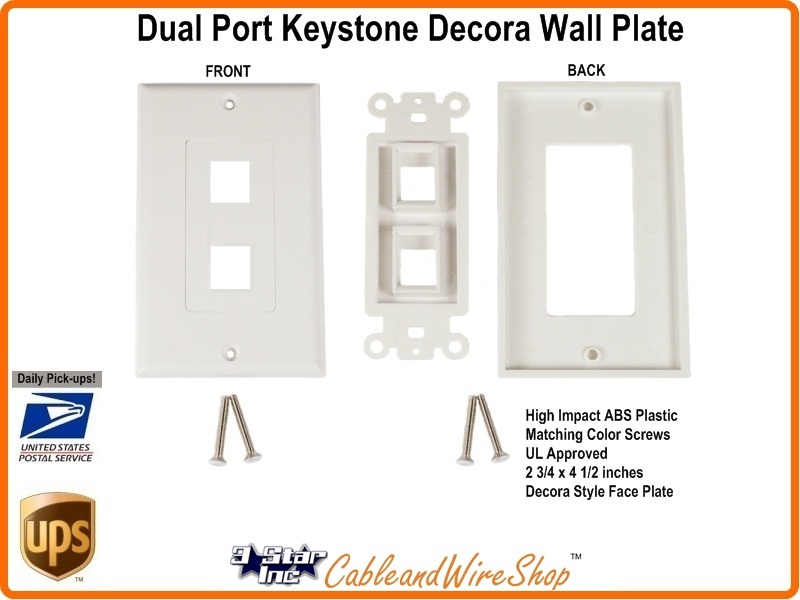 Decora Style Face Plate and Screws Included.